Solutions for your Complete Fleet! Advanced Telematics at an ELD Price! Extend Geowiz ELD LTE with the POWER of PRO!! Why pay more for just ELD when you can get everything for the same price? The Geowiz PRO subscription costs $17 per month, and transforms the LTE ELD to deliver unsurpassed telematics capabilities at an ELD price, saving fleets tens of thousands of dollars per year. Not to mention the reduced costs of reducing paper consumption. It is quick, responsive, customizable, and comprehensive. 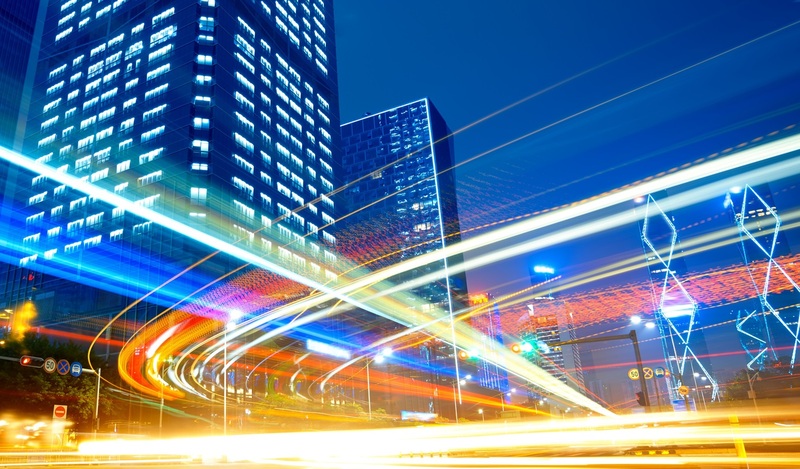 It offers the tools to help a dispatcher run a fleet effectively and efficiently while minimizing phone calls or having to check everything to see what HOS (Hours of Service) a driver has remaining. It helps to cut down risk of a driver going over on their time while simultaneously helping dispatch to maximize the time available. GeoWiz PRO has the potential to act as the adhesive between driver and dispatcher by helping to optimize performance and keep all parties on the same page. Drivers with little or no ELD experience can learn it in a matter of days and quickly acclimate themselves to the system. Dispatchers can learn the computer system quickly and apply its potential towards their fleets while customizing it to suit their needs. The FMCSA self-certification process involves testing the ELD product against a large variety of functional scenarios. 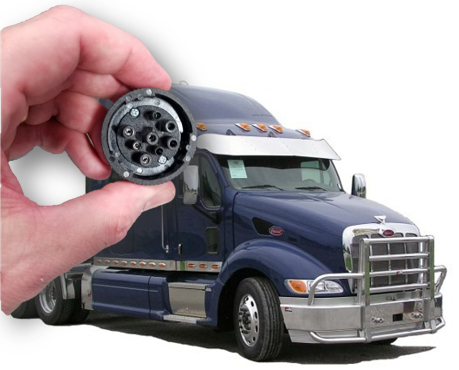 Through this process in many ways competition in the ELD market has been commoditized, meaning that a compliant device functionality will generally be the same given they are meeting the same federal requirements. When purchasing a commodity one of the primary differentials is price, provided that the commodity is of the same grade as comparable items (in this case FMCSA self-certified ELD products). That being said, and with the understanding that this is the market environment ELD devices are in, Geowiz has worked to differentiate itself using a few simple core design concepts. 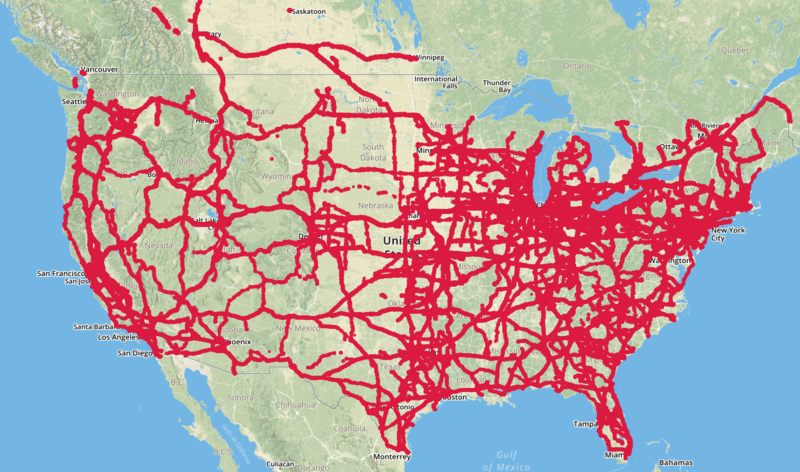 As a commodity item, the Geowiz ELD is priced very competitively compared to other products that meet FMCSA requirements. Geowiz offers substantially more functionality than simply FMCSA compliant ELD functionality to include dispatch, GPS, routing, logging, customer portals, signature capture, DVIR, fleet carrier management, IFTA, geo-based analytics, and multi-authority tracking. While offering a wide breadth of functionality, Geowiz does not have pricing tiers or upsell strategies, the product is one flat price and customers may use whichever features are most beneficial to them including many non-ELD features. The Geowiz ELD system is one of the easiest to use currently in-market. Geowiz does all of its development in the USA, and is built as a technology company that provides excellent service, not a service company that also offers technology. The Geowiz ELD system is built and engineered as a single system from ECU plugin hardware and firmware to mobile device software, so service is provided with a single touch point and there are not multiple vendors pointing fingers at each other during the support resolution process. Customers with over 100 licenses receive a named support representative so that support items can be resolved with a single point of contact. Geowiz releases non-disruptive feature updates to the system monthly via the Apple and Android APP stores, and customers may participate in active user groups that help set feature set priority. Online training alongside instructor led training ensure well-coordinated roll outs and well-informed user groups. Core Geowiz features, all included in the single subscription price, are outlined below. Note that while all functionality is included, each section can run without interdependencies, and the system is very easy to use and configure. Our basic strategy is to offer a world class ELD solution with so many other features that it is an impossibly good deal. Geowiz PRO is ELD compliant hardware and software built to work together to provide seamless functionality alongside unsurpassed support and service. All for one of the lowest costs in the market at $17 a month subscription. The hardware is a single box that we manufacture, so no cables and different vendors pointing fingers at each other. While offering a wide breadth of functionality, Geowiz does not have pricing tiers or upsell strategies, the product is one flat price and customers may use whichever features are most beneficial to them including many non-ELD features. Further, the Geowiz ELD system is built and engineered as a single system from ECU plugin hardware and firmware to mobile device software, so service is provided with a single touch point and there are not multiple vendors pointing fingers at each other during the support resolution process. The modem connects to 6 pin or 9 pin ECU and can talk j1939 and j1708, so you can support your entire fleet using the same great functionality. 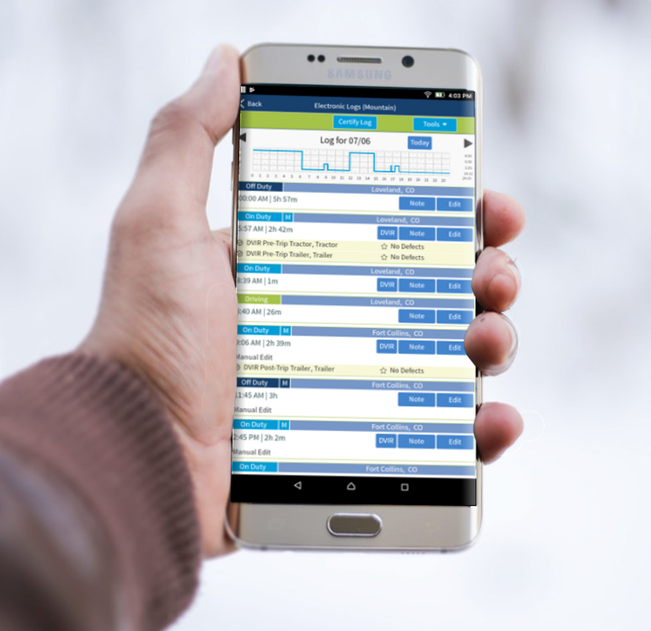 The Geowiz software runs on any modern Android or Apple mobile device, so BYOD or buy new, whichever fits your current operating model. GeoSpace Labs Offers Unsurpassed Functionality. Kind of makes you wonder what 'the other folks' are spending their time on. They are probably in a meeting, oh well. An ELD Solution And A Lot More! 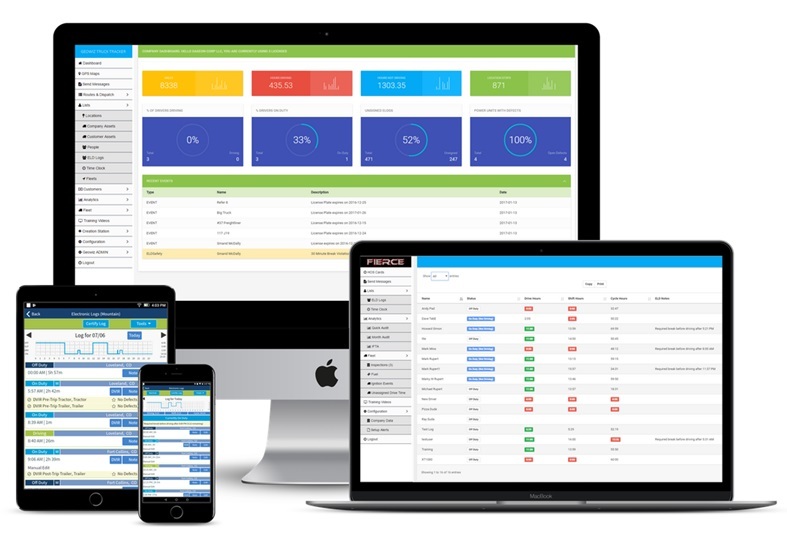 Real-time all in one HOS ELD, dispatch, GPS, routing, logging, customer portal, signature capture, DVIR, ELD carrier management cloudware with an immediate geo-based analytic engine, all compliant with the FMCSA HOS Final Rule dated December 2015. The Geowiz APP runs on any modern iDevice or Android device and you can download it from the Play store or APP store. Used full time the Geowiz app will consume about 150-250MB of data a month. More if a large number of documents are signed. Using Geowiz PRO or LTE you will join a growing network of drivers. Geowiz tracks over 60,000 assets every day.